Christmas is coming. Book your Christmas party at The World’s End this year and make it one to remember. We’ll supply the food, the drinks, and the games. All you gotta do is turn up and play! 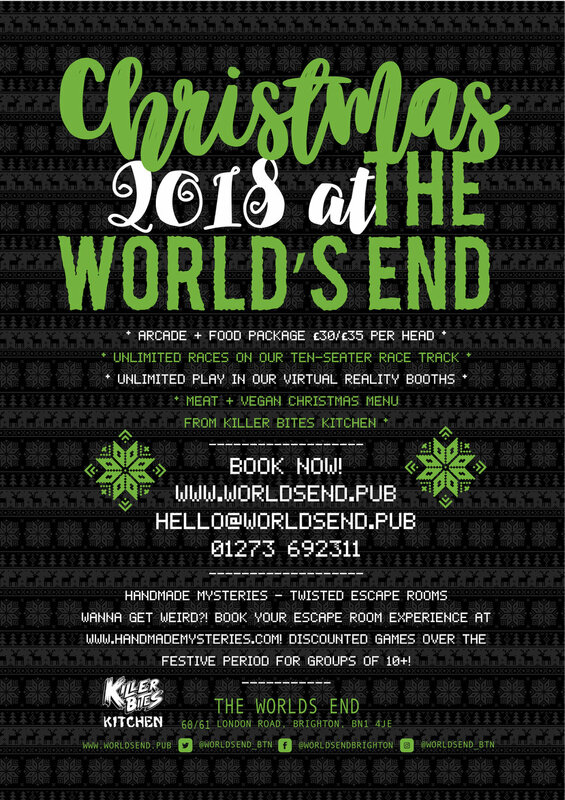 or contact us at hello@worldsend.pub // 01273 692311.
check out Our festive food & gaming packages for groups of 10 and above.